“The idea that the Bible declares hell a real and literal place is no more valid than the toxic lie that the Bible condemns homosexuality,” was the opening line to a commentary published online and subsequently featured in Time Ideas. One would have expected this to have come from an atheist but it was actually written by a popular evangelical Christian blogger and author, John Shore. He claimed that Christianity without hell “would allow Christians to point upward to God’s love.” I believe that it is clear to many that the analogy which he uses to speak of the non-existence of hell is flawed. The author sloughs off compelling scriptural evidence. The bible, both the Old and the New Testament, doesn’t speak of homosexuality very often, but when it does, it unwaveringly and consistently condemns it as sin. So, by tying homosexuality and hell together as alleged false doctrines, he has committed a double fault. If Shore’s statement merely questions whether the fires and darkness of hell are literal, he might have a point. 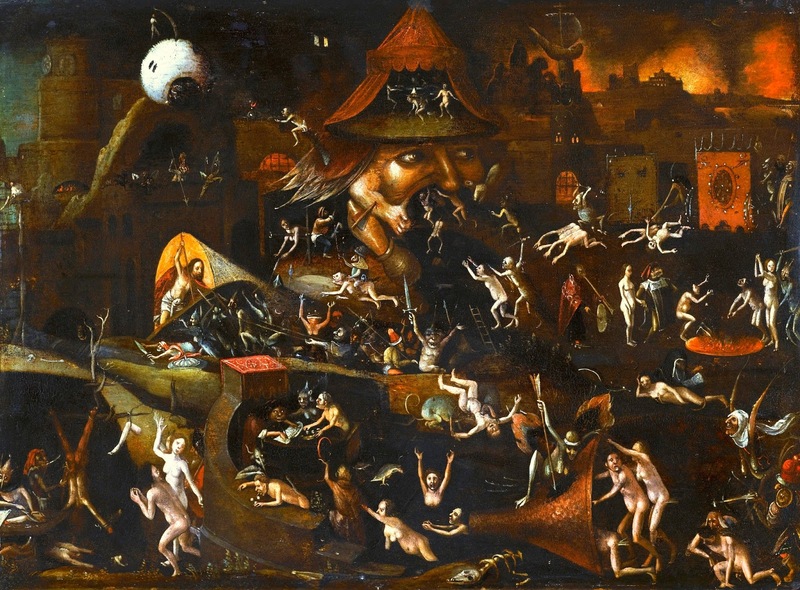 Many scripture scholars and theologians would opine that the descriptive references to the conditions of hell are figurative, to explain the unbearable situation of the soul’s eternal separation from God. But clearly, this is not Shore’s point. He denies the very existence of hell, and he is not alone in his belief. 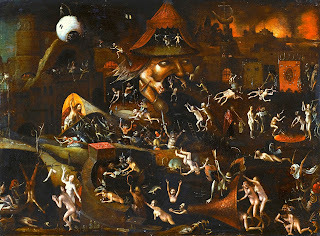 Many, including Catholics and Protestants alike, reject the notion of hell. I’ve known of many priests and religious who are convinced in its non-existence and many others who are too embarrassed to mention it, what more preach about it. They believe that the threat of hell has been one of Christianity’s core assets in recruiting members. A kind of carrot and stick in reverse. This is known as Pascal’s Wager, defined thus by the Oxford dictionary: The argument that it is in one's own best interest to behave as if God exists, since the possibility of eternal punishment in hell outweighs any advantage of believing otherwise. Better safe than sorry. So, does hell exist? If it does, how many of us would end up there? In the gospel today someone asked Jesus, “Lord, will only a few people be saved?” This is a topic most Catholics are concerned about as well. It is a difficult subject to think about and we would rather not think about it if we can. Many Catholics believe everyone will go to heaven, and that there isn’t such a thing as hell. They believe that God is loving, forgiving, merciful and would never send anyone to hell. This view, however, is simply a personal opinion! It is not based on the catechism or the scriptures, which is most evident in today’s gospel. In fact, this belief is called the sin of presumption, which is an enemy of the virtue of hope. Our Lord avoided a simple straightforward answer. And, this wasn’t because he felt uncomfortable with the topic as modern people would. Instead, he began to lay out the high demands of discipleship, which is a way of stating that we should never take salvation for granted. He answered the question by saying that we should strive to enter through the narrow gate and adds this sobering but significant footnote, “many will try to enter and will not succeed.” The reason for this, would be that many would prefer the easier and more convenient path. The master of the house will lock the door and there would be people who will knock on the door asking to be let in. But the master will reply: “I do not know where you come from.” After repeating this statement a second time, Our Lord adds these disturbing words, “Away from me, all you wicked men.” It would be hard for those who deny hell to dismiss this passage or even give it a spin, unless they choose to reject the entire inspiration of Scripture, which seems to be the logical conclusion. When we choose to reject hell, we eventually choose to reject God and heaven, the antitheses of hell. The clarity of Jesus’ words cannot be simply denied or pushed to the periphery but it has to be noted that our Lord did not provide an exact answer to the question, “Lord, will only a few people be saved?” Neither Scripture nor Tradition provides us with statistics. St. Thomas Aquinas says, it is better not to speculate about the number of those who are to be saved, for such is known to God alone. But then, the Angelic Doctor adds these comments which seem foreign to the modern ear, “from the words of Christ, however, we know that the elect who are saved are few in comparison with the majority who are damned.” Nevertheless, the real “possibility” of hell, being eternally separated from God, is clear from this text. The lesson we derive from this is certainly not fear, as if God or the Church wishes to scare us into submission, just like what our parents did when we were naïve children, with the frequent threat of calling the police to arrest us and throw us into prison. Hell is real and it is everlasting. We may not hear much about Hell these days and we may not even like to, but silence on the subject does not make the reality of Hell go away. The Catechism of the Catholic Church (CCC) says this, “Following the example of Christ, the Church warns the faithful of the ‘sad and lamentable reality of eternal death’, also called ‘hell.’ Hell’s principal punishment consists of eternal separation from God in whom alone man can have the life and happiness for which he was created, and for which he longs. The Church prays that no one should be lost: ‘Lord, let me never be parted from you.’ If it is true that no one can save himself, it is also true that God ‘desires all men to be saved’ (1 Tim 2:4), and that for him ‘all things are possible’ (Mt 19:26).” (CCC 1056-58). The Church has never definitively taught that anyone in particular is or is not in Hell. But on the basis of revelation, we cannot deny the existence of Hell and the very real possibility that you or I might end up there. More importantly, Our Lord lays out for us a choice between two paths in life. The first is the difficult path that leads to the narrow gate and ultimately to eternal life. The second is the broad and easy path which leads to the wide gate and a destructive end. It is a popular error of our time to believe that it does not matter which road one takes. What’s toxic about the denial of hell is that it suggests that God doesn’t much care what we do in this life as long as everyone’s enjoying it. That’s not Christianity, that’s hedonism, the worship of enjoyment and fun. Others believe that all roads are like spokes on a wheel, all leading to the same place – Heaven. How often have we heard that common claim that all that matters are our good intentions? But there is also the expression, “the road to hell is paved with good intentions.” Jesus uses the definite article when he speaks of Himself as "the Way, the Truth and the Life.” He is also the “Sheep Gate” and the “Door.” It is not love nor is it broad-mindedness, when we allow people to follow their own erroneous ways, paths that may ultimately lead them to destruction. It is always the loving thing to help people choose the narrow and hard path, which will remain unpopular, because the Cross will never be a popular option, but necessary for our salvation. We are all living on borrowed time. The parable of the householder who gets up and locks the door impresses on us that time is of the essence. Providence has given us this time so that we may be busy at working out our salvation. This is certainly not the time to take it easy, loose ourselves in our complacency, and gain more points for hell instead of heaven. The shortness of our lives should remind us that our primary work is to work out our salvation. We must make our own salvation and the salvation of all those around us, our top priorities in this life. Nothing else ranks anywhere close in its importance – neither health, wealth, career, popularity, possessions nor acclaim by others. Know what you must do to be saved and work out that salvation in fear and trembling. In any event, better ‘saved’ than sorry. Don't expect to be paid back! Pay it Forward!